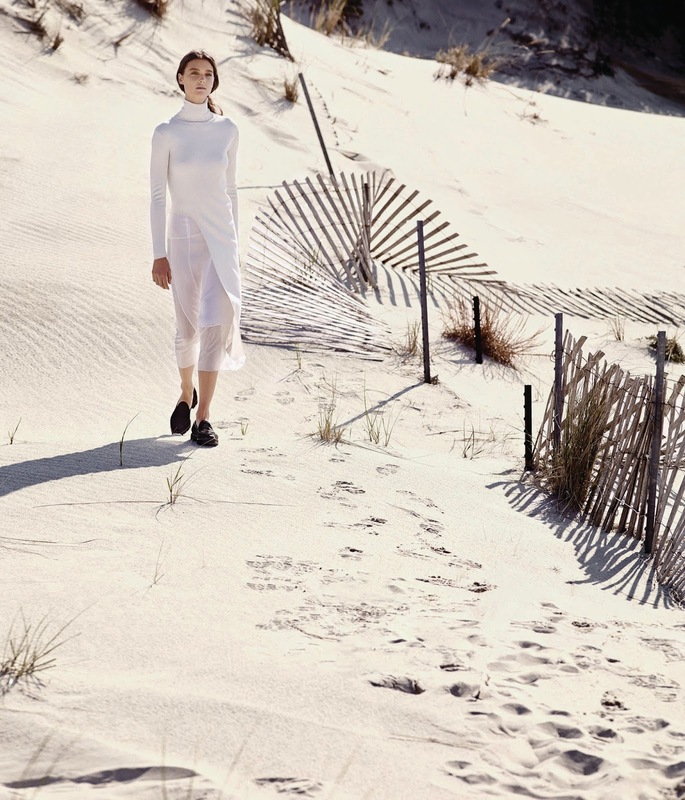 Stephanie Joy Field by Daniel Riera for WSJ MAGAZINE, JULY/AUGUST 2014 in "Easy Breezy". Vanessa Traina styled Stephanie in Balenciaga, Theyskens Theory, Proenza Schouler, Ralph Lauren Collection, Altuzarra, Repossi, MaxMaraB, Altuzarra, Acne Studios, Prada, Burberry Prorsum, Jil Sander and Theory. The issue hits newsstands Saturday, June 28ᵀᴴ.